Initially, our apologies for any concern or confusion that may have arisen from the email you received yesterday from pipdig regarding your hosting service with them. We appreciate that you've been through a lot this past week, and we had hoped not to add any more confusion. Yesterday's announcement was sent out by pipdig somewhat prematurely; we had hoped to ensure that we could release a statement regarding this simultaneously, to make things as clear as possible and address your anticipated questions and concerns. What follows is a summary as to what is occurring with your pipdig hosting service. It is not intended to be a general retelling of what has taken place, or to further address the allegations against pipdig. This has been widely covered and is for each of you to reach your own personal conclusions. Indeed, we have been advised not to comment further on the allegations themselves. We can however confirm that our terms of service expressly prohibit any misuse of our service, we will take swift action to prevent any misuse, and that any such misuse will be dealt with in accordance with those terms. If you host your site with pipdig, we are in fact already hosting your website behind the scenes. Nothing has been transferred to us, this has always been the case. Whilst this may seem confusing, or even suspicious to some, the reality is quite simple. Many web designers and small web hosting companies use the services of a larger host. Typically these designers sell websites and provide hosting as a bolt on, and they can do this without needing all of the expertise that is required to do so. They support their end users, and we look after the really geeky stuff behind the scenes. Pipdig have used us as their web hosting for a number of years, both for their company websites, and more recently also for their pipdig.host service. We have no other relationship with pipdig nor are our companies connected in any other way. What's happening now, and why? This entire event is not of our own making, and has already consumed a vast amount of our time and resources. We however remain steadfast in our determination to ensure that there is no disruption or further inconvenience to any pipdig hosting customer. This has been a key priority with every decision we have made so far. Whether websites are hosted on one of our servers, or whether their theme is in some way reliant on code hosted on our servers, it was important to us that any action we took did not cause disruption to those websites. Whatever the facts surrounding this case may be, it should not be the case that pipdig customers experience any further complications if they can reasonably be avoided. Questions have rightfully been asked regarding the future for customers who are hosting their website with pipdig. People have been wondering whether there is any risk of those websites being shut down, and whether they need to go through the process of migrating to an alternative hosting solution, potentially incurring additional costs to do so. After the events of the last week, we have been in discussion with pipdig about this case, and one aspect of this discussion concerned the clients that they host on our servers. Whilst we cannot comment on the specifics of the case itself, it was agreed that pipdig clients would be best served if they are migrated to Kualo directly. Although we do not have any contractual obligation to pipdig’s hosting customers, we believe that we are in the best position to help them and that we ought to do what we can. In so doing we can offer them the assurance that their websites will not face any interruption, and the peace of mind their hosting is also taken care of by an independent 3rd party. As we are already managing the servers where these sites are hosted, it also means that there is no need for any complex migration. The bottom line is that pipdig will be ceasing to offer hosting services, and so ultimately it will be necessary for those customers to contract with alternative service, be that us, or another host. 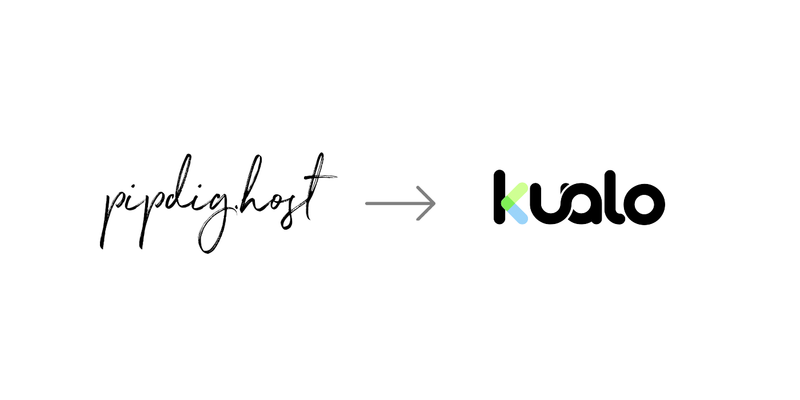 Regardless of when your pipdig hosting is next up for renewal, we will be providing our service to you free of charge for two years from the date your account switches to Kualo. This is a gesture of goodwill from us to you, as we appreciate that you may have been unable to get a refund, and may have incurred other costs as a result of this situation. We’ll set you up on one of our own packages which most closely correlates to your pipdig plan. If our package would usually cost any more than you’re paying right now, we’ll price match pipdig’s current pricing. We’ll communicate the renewal date and price to you individually, so there are no surprises. After the free two years, it of course remains up to you whether you’d like to continue hosting with us, or move to an alternative provider. You may also move to another provider at any time within those two years. Of course, we hope that you'll stay, and that this will be the start of a wonderful relationship. We understand that it has been an eventful week and our aim is not to add any additional stress. The good news is that as your websites are already on our servers, and at least in the initial instance, your website files don’t actually need to be moved anywhere. In short, nothing will change except that once we complete bringing your account across to our client area, you'll contact us for hosting related support instead of pipdig. You’ll receive an email with login details to our client area, and from that point forward you can contact us for any assistance with your website hosting, or indeed any domain names that you had registered with pipdig. For full transparency, in the longer term, we will need to move your websites to a different server. This is because the server that houses your websites right now is not one that is usually used by our direct hosting customers. We’ll communicate with you when this is set to happen, but rest assured there will be nothing you need to do. We're experts at this and the process will be extremely fast and efficient - you'll probably not even notice it occurring. Should I change my pipdig theme? Some people are changing their themes, others are planning to change in future, or not at all. This is ultimately your call to make based on your own interpretation of the available information. The most important thing at this time is that if you stick with your pipdig theme, that your website is running on version 4.9.0 of the P3 plugin. This is critically important as previous releases of this plugin contain code which may place your website at risk. If you're unsure, we will be able to help you verify this once you're migrated. If you decide to change themes, it is important that you understand that this may not be a straightforward process, and if it's not something you're familiar with you may need to seek assistance from a developer or the company providing your new theme, if this is a service that they provide. If you do so, you will additionally need to remove the p3 plugin, and it may be best to do this before you change your theme. It is of course also good practise to take a backup of your website before you embark on any major changes such as replacing your theme. This can be done from your control panel, and we can guide you on how to do this. Will you help me install plugins, configure themes, and make changes to my WordPress for me? The majority of our customers use WordPress and, we’ve got a huge number of years of experience in supporting it. Indeed, we go above and beyond what many hosting companies are prepared to do to help our customers use WordPress and resolve any issues. With that said, we shouldn’t be considered your developers, and our remit doesn’t extend to helping you install plugins, themes, complex configuration changes or make general updates to your website. Whilst we will be making an additional effort to support pipdig customers, depending on your familiarity with WordPress you may need to seek assistance from an experienced WordPress developer for major changes. Why should I trust Kualo? We can completely understand that you may find it difficult to trust in general after the events of the last few days. Of course, trust is earned and that is why we’re making an offer of free hosting to affected customers. We’d love for you to join us, and we’ll do everything we can to keep you happy so you can stay with us for many years. We host a number of pipdig customers directly (i.e. separately to pipdig.host) and a few of those have been kind enough to share their experiences on Twitter. Also a satisfied kualo customer for 3 years. Can’t fault them! We have been in business for nearly 18 years, which is pretty much an eternity in the history of the internet. Over this time, we’ve developed a reputation for providing fast and dependable customer service, and we’ve always held on to core values of transparency and accountability in everything we do. We believe that this is fundamentally why so many customers remain with us, and we’re fortunate to have many customers who have been with us throughout our entire journey. All of our hosting is powered by renewable energy and for the last few years we have also been providing completely free hosting to charities. We love what we do, and we’re passionate about helping our customers succeed online and we’ll do everything we can to win over your hearts. What if I don’t want to use Kualo? Of course, if you'd prefer to move your website's hosting elsewhere, that's no problem either. We're here to help, and don't want anyone to feel pressured or locked in. Over the coming days, we will be reaching directly by email to pipdig hosting customers to let them know the next steps as we work to bring you on board. If you’d like to opt out of any of this process, all you need to do is email us back and let us know. If you do this, it is of course important that you arrange your own alternative hosting solution as soon as possible, and let us know once you’ve done this so that we can confirm and then remove your website from our servers. Many hosting companies will provide a free migration service, and we will assist them with this however we can. When will all of this start happening? There are a number of things that we need to do in preparation for this to start taking place. We are hopeful that we’ll be in a position to start moving clients across in the week ahead. We have been working at full steam to address this situation and many of other priorities have been paused while we do so, so right now, we can’t give any firm timescales - but we’re working as fast as we possibly can. For now, absolutely nothing. Your sites will remain online while we work behind the scenes to bring you across and get in touch with more information. What if I used a pipdig WordPress theme but didn’t host with them? Happy with your current hosting? Then there is no need to change. If however you're thinking about changing anyway, we'd love to welcome you. We are also extending our offer of free hosting to any pipdig customer who purchased a pipdig theme prior to 1st April 2019, even if you weren’t previously hosted with pipdig. We are offering our Solo plan, plus free LiteSpeed Cache integration. If you require a larger plan, you'd receive an equivalent discount. If that’s you, and you’d like to take us up on this offer, please get in touch by email to pipdig-enquiries@kualo.com, and we’ll let you know the next steps. Note: Whilst we don't have a current time limit on this offer, we reserve the right to withdraw or revise it at any time. If you have questions that haven’t been addressed please don't hesitate to email pipdig-enquiries@kualo.com, or reach out to us on our live chat at https://www.kualo.com or send a Tweet to @kualo. What are the geeky details about your hosting service? We’ve put this at the bottom as we understand it’s not important to everyone. For those of you who are interested in the technical aspects of our hosting service, here’s a not so brief rundown. Our servers are incredibly well optimised for speed and security. Our hosting uses the cPanel control panel, ontop of CloudLinux operating system, which provides additional security and stability enhancements to the standard Linux (CentOS) operating system. Amongst these features are a “caged” file system, which ensures that the accounts we host are fully isolated from one another, which is an important security feature in a shared hosting server. CloudLinux also provides support for hardened versions of PHP which are no longer be supported by the PHP.net community, and we have support for versions from 5.2 through to 7.3. Finally, it also includes resource isolation, which helps ensure server wide stability by avoiding “noisy neighbour” problems - that is where other websites hosted on the server cause speed or performance related issues for your website. We run on the commercial LiteSpeed Enterprise web server, rather than Apache which is commonly used at many hosts. LiteSpeed Enterprise is a faster, more efficient web server, which includes modern technologies to make websites fly, such as HTTP/2 and QUIC, the precursor to HTTP/3. Critically for WordPress websites, LiteSpeed provides a server side caching layer that makes WordPress websites ridiculously, insanely and unbelievably fast. We provide one-click installation for WordPress, amongst other applications, and you can also backup, clone or stage your WordPress installation via our control panel. We develop our own technology to ensure websites are served as fast as possible, including our integrations with Redis and Memcached on selected plans, along with our MySQL Query Cacher which helps you identify slow queries, and optionally cache them. HTTP/S is provided free of charge to all customers. We bake in additional security through our partnership with Patchman, which provides automated vulnerability patching for WordPress. It does so by back-porting vulnerability fixes in newer releases of WordPress, and making them fully compatible with the version of WordPress you have installed. There are never any theme or plugin related dependency issues with these patches. We have multiple firewall layers, and we’re obsessive about backups. We backup websites we host every day to separate backup devices and keep 30 copies, and you are able to restore from these backups from your control panel. On a server level, everything is virtualised on powerful dedicated servers, giving us the flexibility to hot-migrate entire servers with zero downtime to a completely separate physical machine. This means we can upgrade physical servers, or take down servers for repair or upgrades, without any interruption to websites. This also means that we can recover from unexpected hardware failures extremely quickly, as should there be a critical failure affecting the physical server powering your website, it will re-start on standby hardware within minutes. We use distributed SSD-powered block storage, which is fully redundant, and lightning fast - our storage runs at over 150,000 IOPS, far faster than individual SSD drives. We own all our own hardware which are located in either UK or USA hosting facilities, both of which have multiple redundancies and are powered by renewables. That’s our platform in not so much of a nutshell. PS: If you got this far, we salute you! Thanks for reading, and we're standing by for your questions. Get our updates on web development, online marketing, customer support and (of course) web hosting! Jo Stonehouse is the Founder and Managing Director at Kualo. 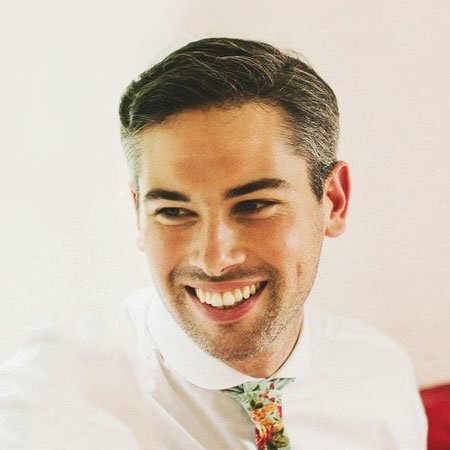 He loves helping businesses succeed online, and is based in London were he lives with his wife, Sali, daughter Seren and dog, Milo. Don't miss out! Get our latest updates on web development, online marketing, customer support and (of course) web hosting!